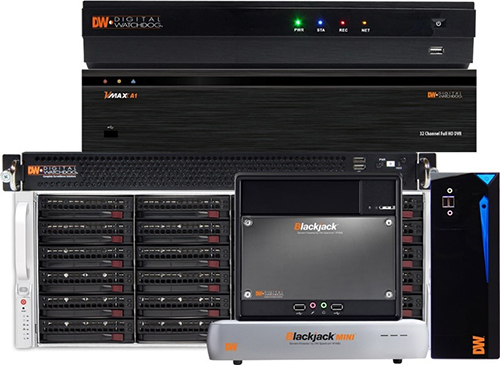 ISC West 2019 — Las Vegas, NV (April 10, 2019) – DW® Complete Surveillance Solutions, the industry leader in digital recorders, surveillance cameras and related management software, is pleased to announce our new partnership with Seagate®, which includes using SkyHawk™ surveillance hard drives to deliver end-to-end, industry-leading video surveillance solutions. Smart, safe and secure, Seagate SkyHawk hard drives are engineered for 24×7 surveillance, providing 3× the workload rating of desktop drives. ImagePerfect™ firmware fine tunes the drives for the workloads of Blackjack® servers and NAS devices, as well as VMAX® NVRs and DVRs. Rotational Vibration (RV) sensors in the drives maintain high performance in multi-drive systems. SkyHawk™ Health Management (SHM), enabled on SkyHawk 4TB and above drives, has been integrated into DW Spectrum® IPVMS for added peace of mind. ISC West attendees can see a live demonstration of the service at DW® Booth 25089. DW and Seagate are also working to deliver industry-leading data recovery services, which can often recover video data from drives even after catastrophic events like floods and fires. Customers can rest assured they have top experts working to recover their data, in a highly secure environment. DW® empowers our customers as the industry-leading single source of value-driven complete solutions for all video surveillance applications (HD Coax™ / hybrid / IP enterprise), focusing on ease of use and ROI. DW® products offer technologically-advanced features including multi-sensor HD cameras at real-time 30fps, Star-Light™ super low light technology, WDR, Smart DNR™ and Smart IR™. Complete IP megapixel surveillance solutions include single- and multi-sensor MEGApix® cameras and edge recording systems, Blackjack® Servers, Work Stations and NAS devices, and DW Spectrum® IPVMS for server, mobile and on-camera control. Complete HD over Coax™ surveillance solutions include single- and multi-sensor STAR-LIGHT™ HD over Coax™ cameras, VMAX® Universal HD over Coax® DVRs and mobile management applications. DW®, Digital Watchdog®, MEGApix®, Blackjack®, VMAX®, Spectrum® and Universal HD over Coax®, are registered Trademarks of Digital Watchdog®. All other Trademarks are the property of their respective owners.